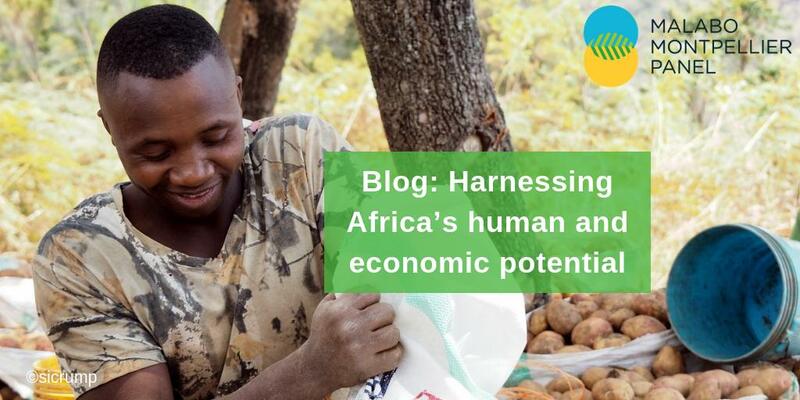 Agriculture is both a victim and a contributor to climate change and smallholders in developing countries will be most seriously affected by the impacts. We, the members of the Montpellier Panel, believe that a sustainable climate future is not possible without recognising agriculture’s role in the adaptation and mitigation of climate change. In many regions, the first impacts of climate change can already be felt. Crops, grazing land, trees and livestock are inherently affected by climatic extremes, including too much or too little water, too high or too low temperatures and the length of the growing season. Moreover millions of farmers own less than one hectare of land, live on less than $1 a day and do not produce enough to feed their families. They are especially vulnerable to climate change. Achieving food security for all will become increasingly difficult. Climate change affects not only yields, but also food quality and safety and the reliability of its delivery to consumers. 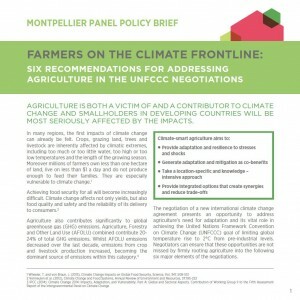 The negotiation of a new international climate change agreement presents an opportunity to address agriculture’s need for adaptation and its vital role in achieving the United Nations Framework Convention on Climate Change (UNFCCC) goal of limiting global temperature rise to 2°C from pre-industrial levels. Negotiators can ensure that these opportunities are not missed by firmly rooting agriculture into the following six major elements of the negotiations.